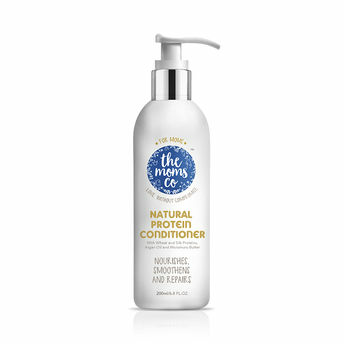 Natural Protein Conditioner is a toxin-free combination of Argan Oil, Natural Proteins and Vitamins that repair and deeply moisturise your hair, leaving it soft and smooth. Explore the entire range of Conditioner available on Nykaa. Shop more The Moms Co. products here.You can browse through the complete world of The Moms Co. Conditioner .